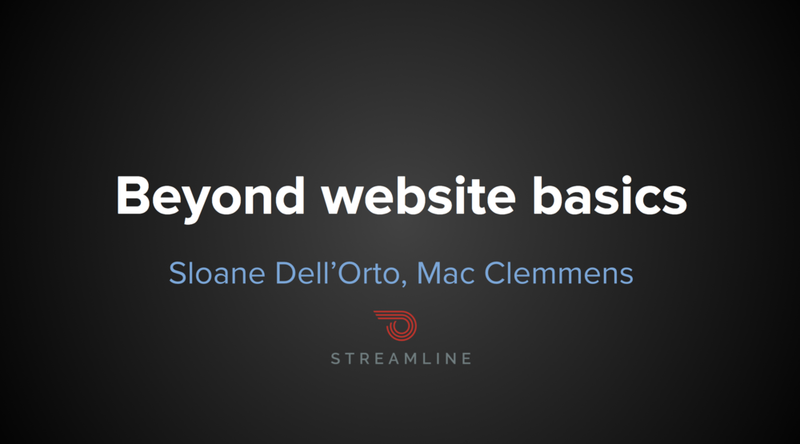 Beyond Website Basics - webinar on handy tools for things like free images and icons, text searchability, compliance testing and more. 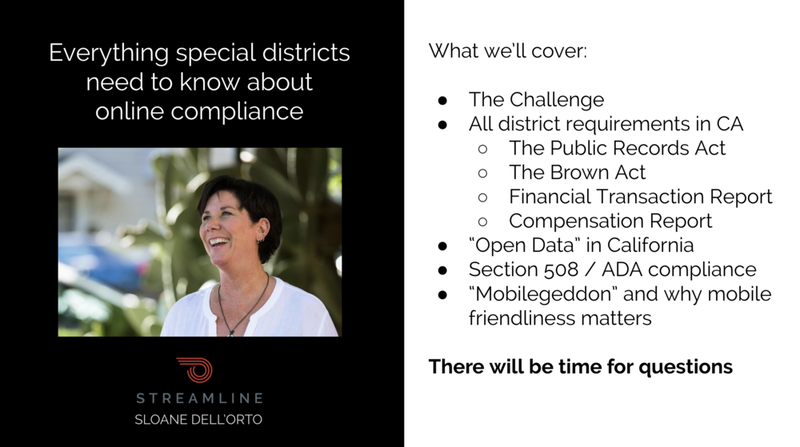 Slides and handout from our webinar Dec.2, and talks at CSDA conferences in 2016, covering everything special districts need to know about online compliance and website requirements. Includes best practices information about content, landing pages, and email communications. From a talk given at the CSDA Annual Conference - covers all the online requirements for California special districts including Brown Act, Public Records Act, Section 508 compliance, etc. (Note that the Controller's deadline of April 30th has been changed since this talk was given, it's now “within seven months after the close of each fiscal year."